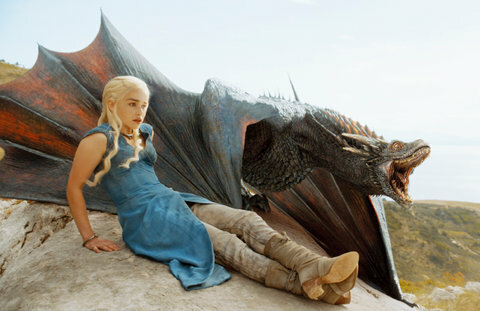 The much anticipated premier of the fourth season of Game of Thrones aired Sunday night to a roaring social media bravado, and although parent network HBO experienced some technical difficulties with their streaming service, HBO Go, the show continues to be one of the most watched programs on air. The Twitterverse exploded with nearly 500,000 tweets related to the show, peaking during the show’s airing. The hashtag #GameofThrones was used nearly 200,000 times, and the Game of Thrones official handle, @GameofThrones, was mentioned 17,000 times. Overall, HBO should be happy with the reaction from the realm. 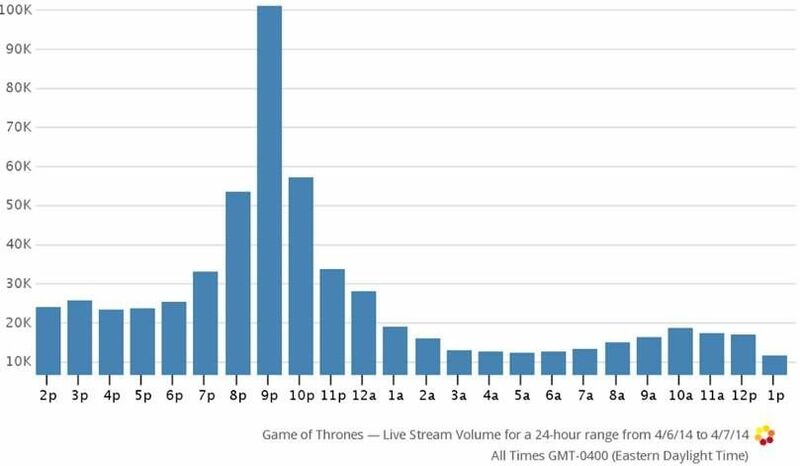 Fans took to social media in full force and the #GameofThrones hashtag trended worldwide well into the night. And although the premier could have gone without the minor hiccup, one thing is certain: Winter is coming, but Spring television is here. This entry was posted in Television Programming and tagged game of thrones, GoT, GRRM, HBO, HBO Go, piracy, series, television, Thrones, Two Swords by Yoni. Bookmark the permalink.